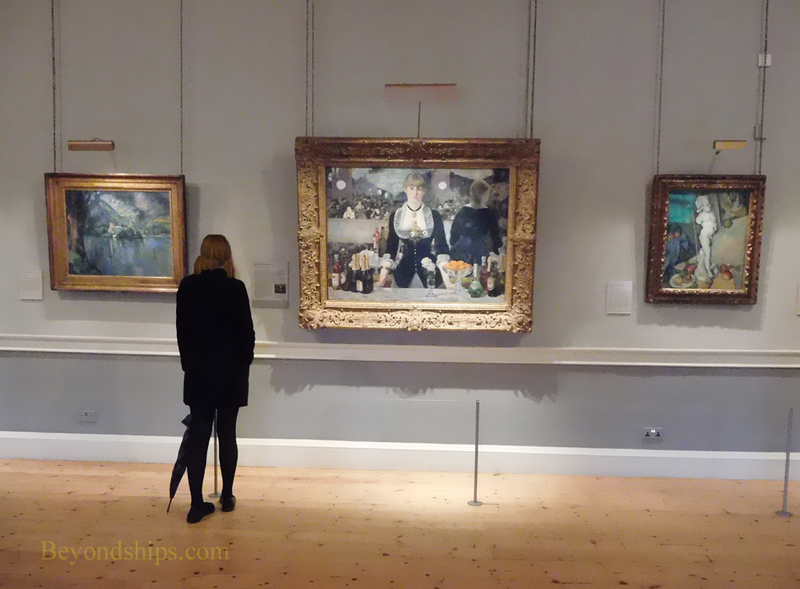 The Courtauld Gallery is a jewel of a collection in the heart of London. Although housed in a spectacular building, it presents world famous masterpieces in an intimate setting. The Courtauld occupies a very historic site. In 1547, the Duke of Somerset built a palace here. When he was executed for treason in 1551, Somerset House passed into the hand of the Crown. It was used by Elizabeth I before becoming queen and by several of queen consorts during the Stewart era. Oliver Cromwell, who ruled England after the Civil War, died at Somerset House. During the 18th century, Somerset House fell into ruin and had to be demolished in 1775. It was decided that a new Somerset House would be built not as a royal residence but as a home for government departments and for various learned societies that received royal patronage. As a result, the Royal Academy of Art shared the new building with the Admiralty (navy), the Inland Revenue (taxes), and the General Registry Office (births, deaths and marriages) for many years. The new building was designed by Sir William Chambers. Proposals that it be an austere functional building were rejected in favor of a lavish monumental structure. Consequently, this elegant building is built around a central quadrangle, which originally provided access to six town house-like components. Over time, the various government departments and learned societies outgrew the space allocated to them at Somerset House and moved away. In 1970, space that had originally been the home of the Royal Academy of Art became the home of the Courtauld Institute. 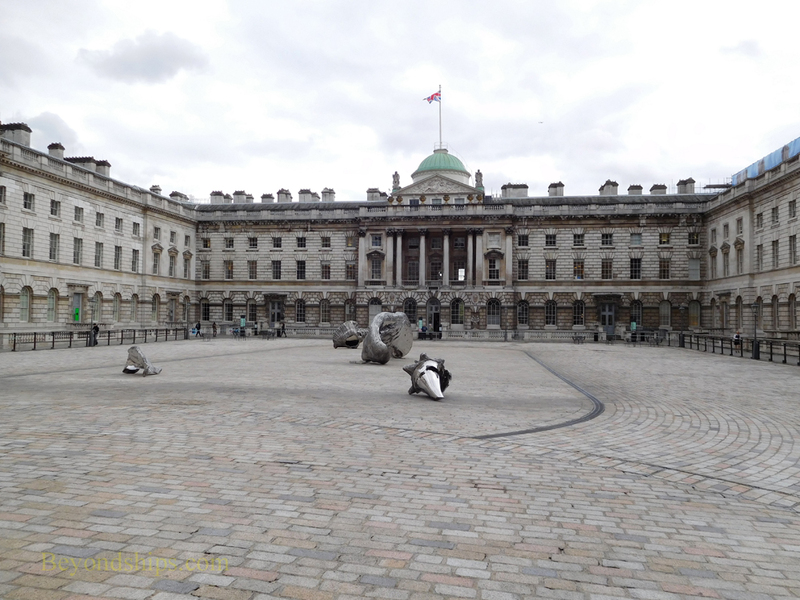 The Courtauld Institute was founded in the 1930s as a center for the study of the history and conservation of art. (It is an independent college of the University of London). Its best known director was Sir Anthony Blunt, whose work as an art historian is today overshadowed by his role as an infamous Soviet Cold War spy. 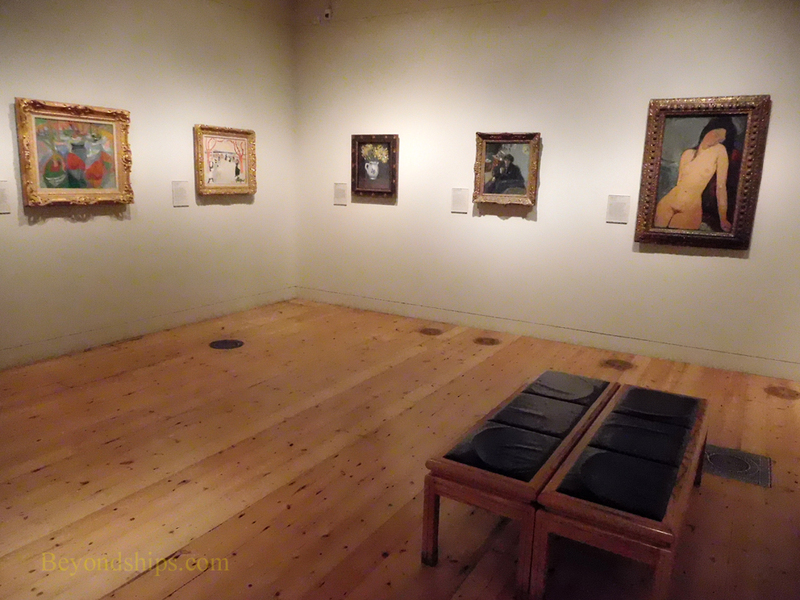 Nonetheless, the Courtauld is widely recognized as a center of excellence in art. Over the years, the Institute has amassed an important collection of art. It includes works from the early Renaissance to the 20th century. It includes works by Alessandro Filipepi Botticelli, Sir Peter Paul,Rubens, Pieter Bruegel, Francisco de Goya and Thomas Gainsbourgh among others, However, its most popular collection is undoubtedly, its collection of Impressionist and Post-Impressionist masterpieces. Of these, the centerpiece is Édouard Manet's “A Bar at the Folies-Bergère.” One of Manet's last major works, the painting shows a barmaid standing in front of a mirror. In the mirror can be seen the lively goings on at this famous nightspot. However, the woman's expression is pensive. Her mind appears to be elsewhere although we can see in the mirror that a patron is addressing her. The colors used are alive and harmoniously pleasing. Manet has rendered the subsidiary details of the painting such as the bottles, the glasses and the vase of fruit on the bar in front of the woman with great economy of style, yet any one of these elements could be a still life on its own. In addition to the permanent exhibition, the Gallery presents research-based temporary exhibits. These take a theme, such as unfinished paintings for example, and provide examples from the collection. 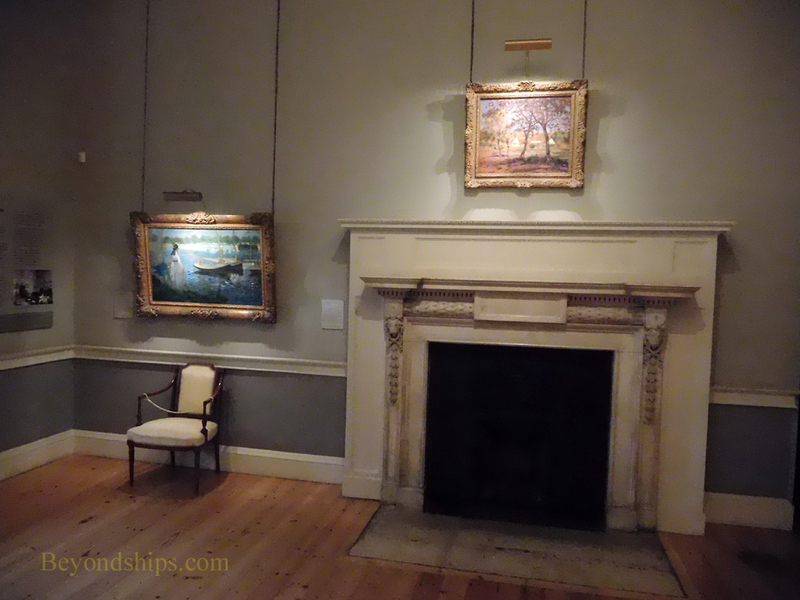 The exhibit space is not extensive - - the Courtlauld only occupies a portion of Somerset House. There is a room on the ground floor dedicated to Medieval and Renaissance works but most of the exhibit rooms are a handful on each of the first and second floors. Some of the rooms still have elements of their original décor and are ornate. However, most of the rooms are on a human scale and are conducive to quiet enjoyment of the works. Located on the Strand, the Courtauld is within walking distance of Trafalgar Square and thus of the National Gallery and the National Portrait Gallery. The Gallery is also within London's Museum Mile, which includes 13 museums between Kings Cross and the River Thames.